I, like a lot of people, find themselves working in the IT sector despite previous work experience and education to the contrary. While there is certainly a place for educated technicians and professionals to flourish and succeed, alongside me are a number of people with degrees and practice in vastly different fields—psychology, chemistry, humanties, etc. That being said, having a strong technical background can make a huge difference. And it is with that hope I embarked upon Dominic Duggan’s Enterprise Software Architecture & Design: Entities, Services, and Resources (2012). Caitlin Kiernan has published an immense number of short stories, and a good number of novels since the 90s. And yet I retain the impression she remains largely unknown to the reading public. Perhaps due to the initial focus on goth and punk and like motifs, nevertheless, she has become one of the best stylists in the game, not to mention delved ever deeper into the human facets of her stories regardless of motif—her 2009 The Red Tree a great example, and arguably her best novel to that point in time. 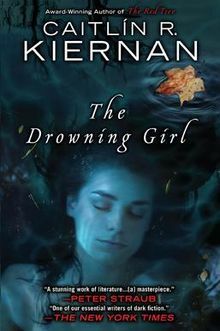 In 2012 Kiernan topped herself with The Drowning Girl, potentially penning her magnum opus and dark fantasy masterpiece, in the process. Framed as a downward spiral, The Drowning Girl is the story of India Morgan Phelps—known as Imp to many. Openly schizophrenic, Imp tells of her mother and grandmother’s mental issues, their demise in suicide, and her likely road to the same end. One evening while out for a drive, Imp finds a hitchhiker named Eva Canning standing naked beside the road. Reminding Imp of a girl from a painting she has loved since childhood, Imp provides Canning a bed for the night, and the next day sees the woman on her way. Trouble follows. Canning turning up at Imp’s work and at various points on her daily routine, it appears she has a stalker. Dealing with relationship issues, Imp takes little notice. But things start to crumble. Other Cannings seeming to appear, her medication no longer having strong effect, her employment not going as planned—these and a variety of other matters force Imp into a new perspective on life. Question is, is she able to survive? Dystopias have been around for a long time—one might even successfully argue since Dante’s Inferno, perhaps even the Bible or others canonical texts. Frankenstein is a strong qualifier, as is Gulliver’s Travels. But it remains the likes of Nineteen Eighty-four, Brave New World, The Handmaid’s Tale, and other such novels to represent the focus on oppressive systems and the potential misuse of technology and position for authoritarian means in the modern socio-political context. Orwell, Huxley, and Atwood’s novels garner the lion’s share of the attention (thank you high school required reading), but there remain numerous high quality dystopias on the market worth every bit of the same attention. From Ian Macleod’s The Summer Isles to J.G. Ballard’s High-Rise, Kim Stanley Robinson’s The Wild Shore to John Brunner’s Stand on Zanzibar (or The Jagged Orbit, or The Sheep Look Up, or…), there are many other stories delving into the various ways in which humanity limits itself willing and unwillingly. Another such novel/collection to add to the list of must-read dystopias is Thomas Disch’s 334. The number of an apartment block in near-future New York City urban conglomerate, 334 is less a single story and more story strands. Five novellas concluding upon a short novel that braids the novellas together, Disch remains focused on character throughout, highlighting the manner in which even the simplest change from our current system (or as it was in the late 60s and early 70s when Disch was writing the stories) can/will have widespread effect on social and personal standing for the ordinary Joe (and Josephine). Like Ian Macleod’s The Summer Isles, 334 is a subtle dystopia that the less discerning reader may have trouble parsing or appreciating. Sentient bots are one of the most common science fiction plot devices, and in some cases, motifs. Readers can go to stories written in the 19th century and find steam-powered men, just as almost anything written by Charles Stross in the 21st is guaranteed to blur the line between biological and digital existence into unrecognizability. What then, is there to add to the field? 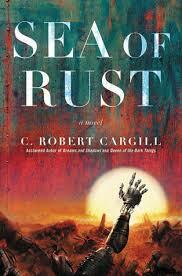 Robert Cargill’s answer in 2017’s Sea of Rust is a tried and true storyline with a bit of digging into the “human” side of machine intelligence. A former caregiver, Brittle now wanders post-human (literally) wastelands collecting leftover pieces of bots and androids to sell for scrap. Keeping a vigilant eye on the store of parts she keeps for her own bot body as it breaks down, hers is a lonely, anxious life. Things take a turn, however, when a fellow scavenger with the same body type outright attacks Brittle. Where the two once had an unspoken agreement not to scavenge from each other, any mutual autonomy is thrown out the window, putting Brittle on the run. Escaping to a nearby city, things go from bad to worse when one of the ruling AIs sends a troop of drone bots to “recruit” her into the horde. Once again, Brittle must head out into the wastelands to survive, this time with seemingly the whole world on her heels. My review of Limbo will be quite short as I had the (relatively) unfortunate situation of playing it after having played Inside. 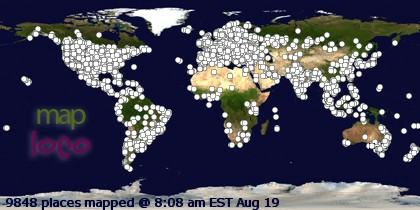 They are not identical games, comparable 1:1. But the similarities far outweigh the differences, and Inside is simply the better game. Had I played Limbo first, I think the positives, which there is no shortage of, would have shone all the brighter. 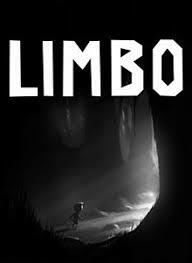 Both Limbo and Inside are 2D side-scrolling dystopias depicted in a black and white color palette. Both feature a boy trying to navigate lethal, platform-based puzzles that test the player’s lateral thinking and hand/eye coordination (more the former than the latter). But where Limbo’s puzzles are unique and challenging individually, the whole fails to achieve the same degree of cohesion as Inside. Another way of putting this is: Limbo is a brain-bending parade of puzzles that are challenging, and are fun and satisfying when they’re solved. Inside is the same, plus the added degree that the puzzles are synthesized into a semi-story that gives rise to intriguing meta-questions about the game, and to some degree, life itself.